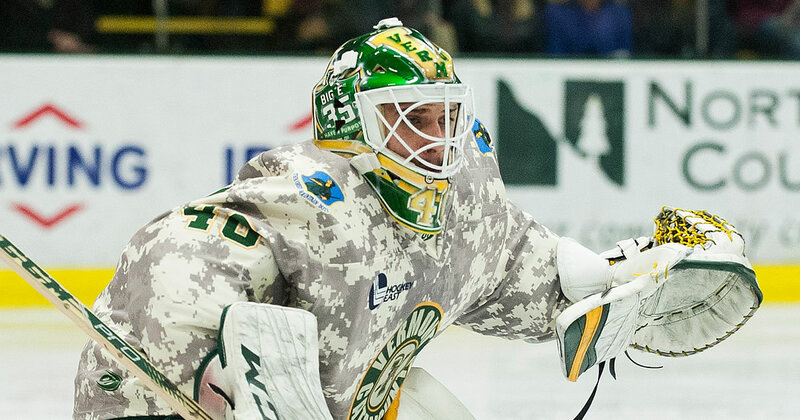 Stefanos Lekkas (Elburn, Ill.) stopped a career-best 48 shots, including 23 in the third period, to backstop Vermont to a 5-2 road win over #4 Michigan to open the season on Saturday night. The junior netminder made 19 of his 48 shots with an extra Michigan attacker on the ice, including 15 in the third period alone. Alex Esposito (West Haven, Conn.) Scored two goals in the opening 3:59 of a 5-2 victory at #4 Michigan on Saturday, powering the Catamounts to a season-opening road win. #5 Providence opened its season with a 3-1 win over American International College. The Friars scored three times within a 2:48 span of the first period to secure the 998th win in program history. Merrimack’s Johnathan Kovacevic (Grimsby, Ont.) dished out a career- high three helpers in Saturday’s setback to Lake Superior State, while senior goaltender Craig Pantano (Bridgewater, Mass.) made his season debut on Sunday, stopping 23 of 24 shots he faced. Boston College, Boston University, Massachusetts, and UMass Lowell all skated to exhibition wins over the weekend. The Eagles’ rookie forward Oliver Wahlstrom (Quincy, Mass.) netted two goals in a 7-1 win against New Brunswick to earn Pro Ambitions Rookie of the Week accolades. The Terriers saw a goal and an assist each from fellow rookies Jake Wise (Reading, Mass.) and Joel Farabee (Cicero, N.Y.) in a 7-1 victory on Saturday, while UMass Lowell’s Ryan Lohin (Chadds Ford, Pa.) had a gamehigh two points (1g, 1a) including the game-winning, power-play goal on Sunday against Acadia. 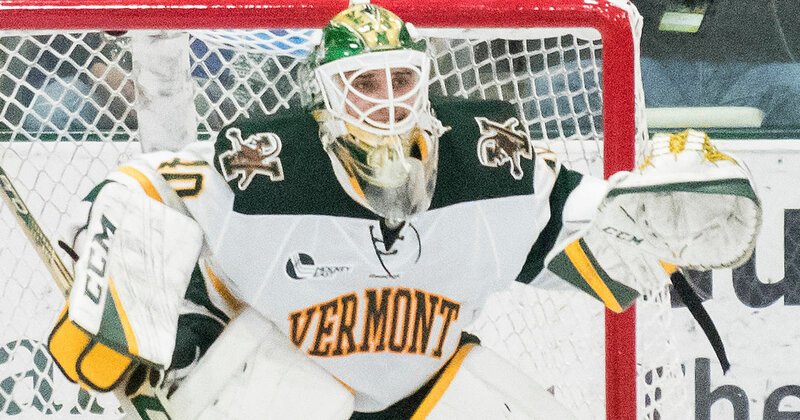 Stefanos Lekkas (Jr., G; Elburn, Ill.) stopped a career- best 48 shots, including 23 in the third period, to backstop Vermont to a 5-2 road win over #4 Michigan to open the season. He made 19 of his 48 shots with an extra Michigan attacker on the ice, including 15 in the third period alone. Oliver Wahlstrom (Quincy, Mass.) found the back of the new twice for the Eagles in his first exhibition outing in the maroon and gold. The 11th overall pick in the 2018 NHL Entry Draft finished the game with four shots on net. 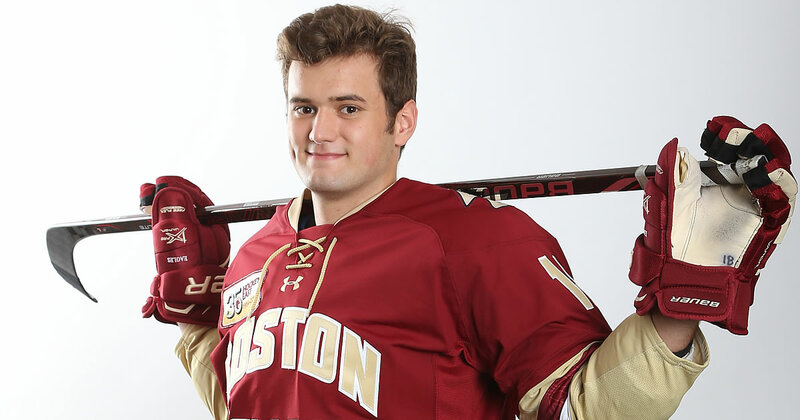 Christopher Brown, BC (Sr., F; Bloomfield Hills, Mich.) Scored a pair of goals in an 8-1 win over New Brunswick on Saturday. Jake Wise, BU (Fr., F; Reading, Mass.) Netted a goal and picked up an assist in Saturday’s 7-1 exhibition win over Acadia. Joel Farabee, BU (Fr., F; Cicero, N.Y.) Matched his classmate Jake Wise’s stat line with a goal and an assist on Saturday, helping the Terriers to a 7-1 win against Acadia. John Leonard, UMass (So., F; Amherst, Mass.) Had a hand in four of UMass’s six goals in a 6-1 exhibition win over Royal Military College of Canada, including two goals and two assists. Marc Del Gaizo, UMass (Fr., D; Basking Ridge, N.J.) Opened the scoring for the Minutemen, leading the way for a 6-1 win in preseason competition. He also assisted on the game-winning strike. Ryan Lohin, UML (Jr., F; Chadds Ford, Pa.) Had a game-high two points (1g, 1a) for the River Hawks in a 4-3 exhibition win over Acadia. He scored the game-winning goal on the power play with just 4:04 left in the game. Tyler Wall, UML (Jr., G; Leamington, Ont.) 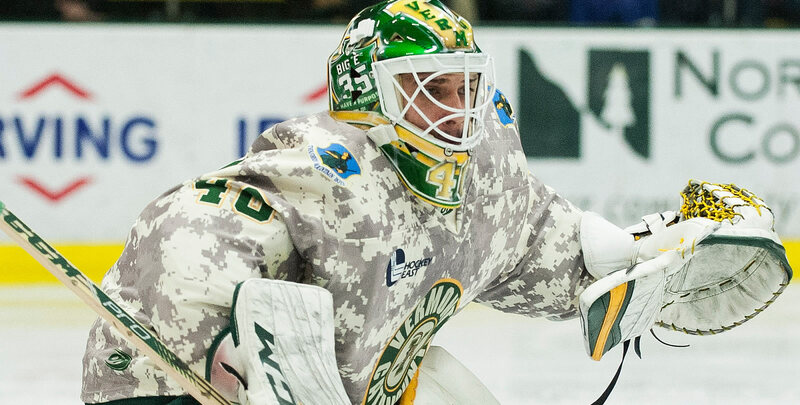 Had 24 saves in a 4-3 preseason win against Acadia, including 11 in the second period alone. Johnathan Kovacevic, MC (Jr., D; Grimsby, Ont.) Led the Warriors in scoring with three points (3a) on the weekend, dishing out a career-high three helpers in Saturday’s setback to LSSU. Craig Pantano, MC (Sr., G: Bridgewater, Mass.) Made his season debut on Sunday, stopping 23 of 24 shots he faced and allowing just one goal. Alex Esposito, UVM (So., F; West Haven, Conn.) Scored two goals in the opening 3:59 of a 5-2 victory at #4 Michigan on Saturday, powering the Catamounts to a season-opening road win.